The Gold Nugget is a cherry tomato, approximately one inch in diameter and round to oval in shape. 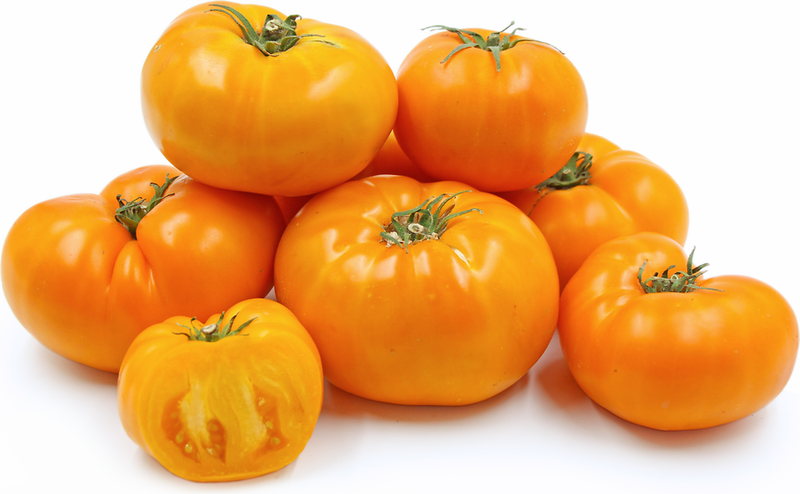 Their sunny yellow skin is thinner than most other cherry tomato varieties, giving them a tender texture. They are juicy with a mild, well-balanced sweet flavor and a low acid content. It is a prolific variety that produces dense clusters of fruits on small branching vines early in the season. As a determinate, or bush, variety, the plant spreads laterally and therefore does not require staking, and its fruit ripens within a concentrated time period. The compact plant averages just twenty-four inches in height, making it a good variety for growing in containers. The majority of Gold Nugget cherry tomatoes are seedless until the end of the season, and there is a high chance that the majority of early fruits will be seedless. Gold Nugget tomatoes are available in the summer and fall. The Gold Nugget tomato is a variety of cherry tomato, botanically classified as Lycopersicon esculentum or Solanum lycopersicum 'Gold Nugget'. Tomatoes are further categorized in subgroups that represent variations observed within the tomato species, referred to as their cultivar: a botanical term that is a contraction of the two-word term cultivated variety, and is equivalent to what growers simply call a “variety.” Therefore, Cherry tomato varieties are more specifically called Lycopersicon esculentum var. cerasiforme. Like all tomatoes, the Gold Nugget is a member of the Solanaceae, also known as the Nightshades family. It is an open-pollinated cultivar, meaning that saved seed will produce the same fruit as the parent. Tomatoes are rich in vitamin C, and they also contain decent amounts of vitamin B and vitamin A. Tomatoes are a great source of calcium and iron, and have good amounts of phosphorus, sulfur, and potassium. Due to the concentration of both Vitamin B and potassium in tomatoes, including them in your balanced diet is said to be effective in reducing cholesterol levels and lowering blood pressure. Determinate varieties, which ripen at once, like the Gold Nugget tomato, are a good choice for gardeners who love to can. Gold Nugget cherry tomatoes are often seedless and have a well-balanced, sweet flavor, making them perfect for snacking. They are delicious as is or with just a touch of salt, but they can also be enhanced by herbs and spices. Try pairing tomatoes with soft cheeses, basil, cilantro, chives, dill, garlic, mint, paprika, pepper, rosemary, oregano, parsley, thyme, red pepper flakes, fennel and tarragon. Store tomatoes at room temperature until ripe, after which refrigeration can slow the process of decay. The Gold Nugget tomato is a winner of the prestigious British Horticultural Society (RHS) Award of Garden Merit, which is intended to help gardeners select plants that are best for all-round garden value: excellent for ordinary use in appropriate conditions, commonly available, of good constitution, essentially stable in form and color, and reasonably resistant to pests and diseases. The Gold Nugget cherry tomato was developed by Dr. James Baggett of Oregon State University in the early 1980’s, and was specifically bred for cool climates.  Hence, Golden Nugget tomato plants set easily in cool weather and are well suited for the Maritime Northwest of the United States, though they have also been said to be abundant when grown in warmer conditions as well. They are dependable producers, and are usually the first variety to ripen. When harvested regularly, Gold Nugget tomato plants will out perform most other cherry varieties. Harvest when individual fruits give slightly under finger pressure, though the shoulders may not have changed color yet. Someone shared Gold Nugget Heirloom Tomatoes using the Specialty Produce app for iPhone and Android. 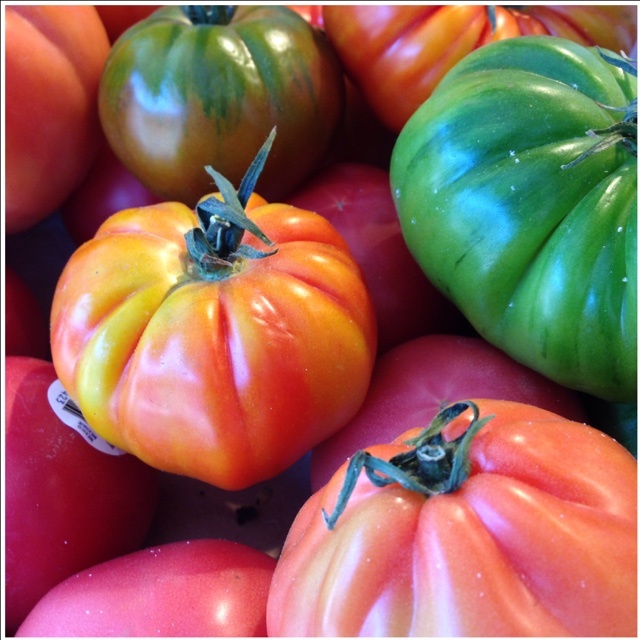 Sharer's comments : Gold Nugget Heirloom Tomatoes spotted at Pike Place Market. A colorful assortment of Heirloom Tomatoes sprinkle with EVO and sea salt... and they are ready to devour!